Reframing How We Think About Exercise Makes A New Habit Stick : Shots - Health News Creating an exercise habit doesn't mean you have to spend hours sweating on a treadmill. Start small, build up slowly and remember that all movement counts — even vacuuming, if you do it vigorously. "Feeling better isn't just this selfish, hedonic thing — it actually is fuel. I consider energy from taking care of yourself as essential fuel for the things that matter most in our lives," says Michelle Segar, a psychologist at the University of Michigan who studies how we sustain healthy behaviors like exercise. If you like this article, you should check out Life Kit, NPR's new family of podcasts for navigating your life — everything from finances to diet and exercise to raising kids. Sign up for the newsletter to learn more and follow @NPRLifeKit on Twitter. Email us at lifekit@npr.org. Follow NPR's Maria Godoy @mgodoyh. I have become the type of person that used to mystify me. I ... am a fitness fanatic. That was certainly not the case a year and a half ago. Back then, like a lot of Americans, I was mostly sedentary (unless you count walking to meetings). Which is ironic, because, as a senior editor for NPR's science, food and health team, it is literally my job to know better. But, with two small kids, a full-time job and recurring insomnia, I didn't have the time or energy to work out. And I'm not going tell you how much I used to weigh, but it wasn't healthy. So what changed? For starters, I reframed what I thought of as exercise. "The research does now show that basically all movement counts, and anything is better than nothing," says Michelle Segar, a psychologist and director of the University of Michigan Sport, Health and Activity Research and Policy Center. 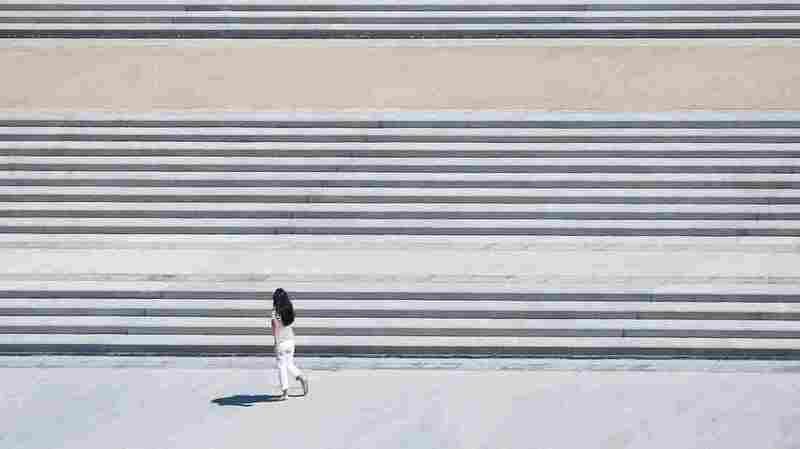 She studies how we sustain healthy behaviors, and she says one big stumbling block for people is that they fail to take advantage of the exercise opportunities they can build into their daily lives, like taking the stairs or walking to work. "I've been astounded that even up until today, very educated people don't know — don't believe — that walking actually 'counts' as valid exercise," she says. That was a big hang-up for me. I used to think if I wasn't sweaty or huffing away on the treadmill for at least a half-hour straight, why bother? But so much more counts as moderate exercise, science now tells us. There's actually a pretty geeky but cool scientific resource called the Compendium of Physical Activities. It's used by researchers to compare apples and oranges when it comes to exercise. And it uses a value called a MET, or metabolic equivalent. "Just sitting, doing nothing, is a MET value of 1 — you're working at your resting metabolic rate," explains Loretta DiPietro, an exercise research scientist at George Washington University's Milken Institute School of Public Health. "An activity that, say, is 2 METs makes you work at twice your resting metabolic rate. So getting up and walking across the room is about 2 METS." Turns out, lots of regular activities meet the magic mark. Climb the stairs slowly and that's 4 METs. Climb them quickly and it's nearly 9 METS, which means you're burning nearly nine times as many calories as you would just sitting. Even vacuuming counts, if you do it with gusto. And researchers now know that the health benefits of these little movements add up. Just taking short breaks to get out of your chair and walk throughout the day can help regulate blood sugar and blood pressure, helping to ward off diseases like Type 2 diabetes and hypertension. And while it won't make you an athlete, moving throughout the day, even in short but repeated spurts, has been linked to a lower risk of dying prematurely. When you think of it as something that can be broken down throughout the day, the idea of getting at least 150 minutes of moderate exercise a week — as federal guidelines recommend -- becomes less daunting. "Think about it like putting pennies in a piggy bank," says DiPietro. "You think, 'Oh, I'm putting in three pennies here,' and you're thinking, 'Oh, this doesn't add up to much.' But at the end of the month, it does indeed." Knowing this really changed the way I think about exercise. Instead of seeing exercise as all or nothing, I started to think about it like climbing a ladder. It's OK to start at the bottom rung and work your way up. So I started with small bursts of movement throughout my day. Instead of sending an email to a co-worker, I'd walk over and talk to them. I'd skip the elevator and take the stairs. I'd do squats at my desk and take short walks around the office whenever I could fit it in. I'd do one-on-one meetings with co-workers while walking and talking. The more I did, the stronger I felt — and the more I wanted to do. I started using the elliptical that was gathering dust in my basement. I made a rule: I'm only allowed to watch Netflix while working out or moving in some other way (like washing dishes or folding laundry). Then a curious thing happened: The more I exercised, the more my body craved it. These days, I even take spin class and do high-intensity interval training. And while I did lose weight during this process (which was pretty nice — I am now at a healthy weight), that's not what's kept me going. As psychologist Michelle Segar notes, there are tons of documented mental benefits to exercise. "We know that it helps people generate energy. We know that it boosts mood," she says. "We know that it improves executive functioning and all the tasks associated with that — focus, creativity. There are so many positives that happen when you move." In fact, even though lots of people start exercising this time of year to lose weight, Segar says for many people, weight loss isn't actually a good motivator over the long haul, because it can take way too long to see any results, and our brains are not wired to strive for long-term payoff. Weight is much more a factor of what we eat — and eating a 600-calorie muffin takes no time at all. Working it off, on the other hand, takes a good long time. Given that reality, Segar says focusing on the immediate rewards from exercise can be more effective at keeping you motivated. "When you have more energy and you're a happier person, you bring that much more enthusiasm and energy and performance to your role in your work, your patience as a parent, [and] as a partner to someone," she says. "Feeling better isn't just this selfish, hedonic thing — it actually is fuel. I consider energy from taking care of yourself as essential fuel for the things that matter most in our lives." If you've been sedentary, adding more movement into your day is a good place to start an exercise habit. Just grab that bottom rung. Remember, you have to start somewhere. An earlier version of this story misspelled Michelle Segar's last name as Seger in some instances.